Looking for a new Honda car, truck, or SUV for sale near Meriden? 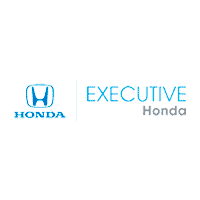 With over 278 new vehicles in stock, Executive Honda has you covered. Choose from popular new Honda cars for sale like the Civic or a new Honda Accord. Middletown drivers looking for a stylish and fuel-efficient new SUV for springtime adventures will appreciate our large selection of new Honda CR-V and HR-V models. With such a large inventory of new vehicles to choose from, we’re certain you’ll find a new Honda that suits your needs and your budget. Browse our inventory and discover the perfect new car for you! Perfect Price Policy – Get our best price first without the hassle of haggling! Now that you’ve checked out our inventory online, it’s time to stop by our showroom in Wallingford for a test drive. Contact us today to schedule your visit!